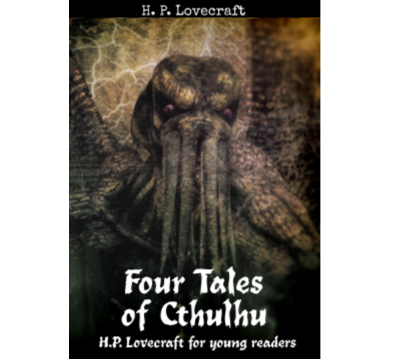 Here’s something a bit different this Halloween: Three of H. P. Lovecraft’s cosmic horror tales (and one bonus) adapted for young readers. There’s no snark. There’s no cutesiness. Just gothic creepiness. Recommended for ages 10+. Download a free excerpt here or read about the book on Amazon (paperback, Kindle). 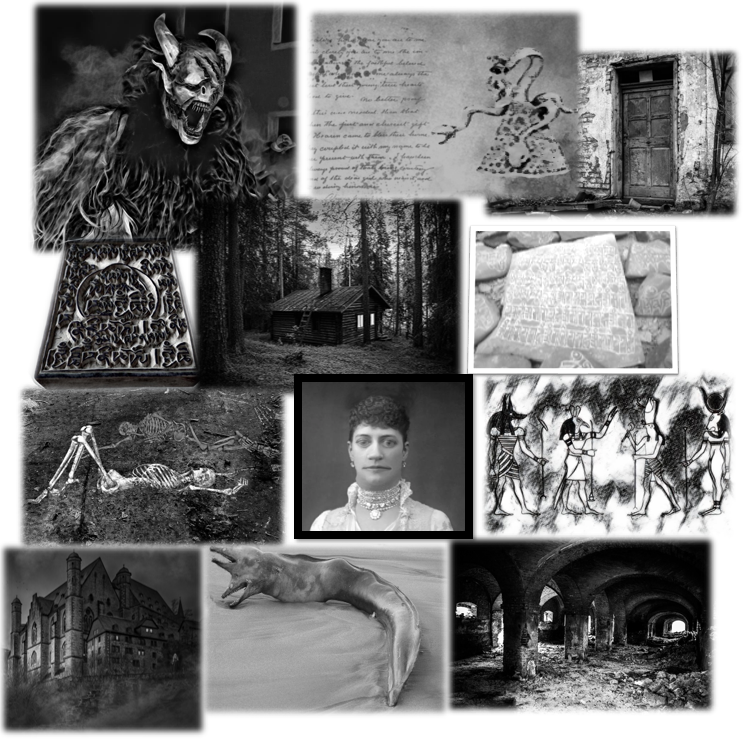 The inspiration for this project came a few years ago, when I read the classic Lovecraftian tale “The Outsider” out loud to my daughters. Many of the passages were hard for them to follow and needed extra explanation. We finished the story, but I started to wonder if I could create a version tailored to them—an adaptation with the same atmosphere of lingering dread, but less confusion. Then I tested the results on my kids, who found the stories bizarre, creepy, sad, and scary. Success! Of course, I also have a five year old, and my revised H. P. Lovecraft stories were still out of reach for her. So I decided to try a completely different experiment. 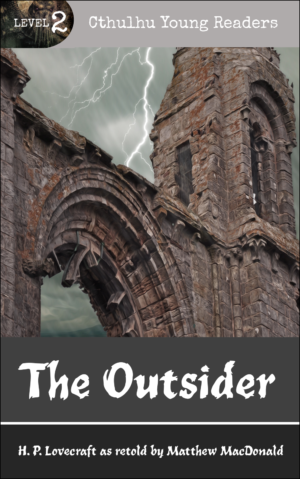 I made a beginning reader version of one of my favorite H. P. Lovecraft tales, “The Outsider,” with full color illustrations (available on Amazon). This book is suitable for young children reading on their own at a Level 2 reading level. Level 2 is sometimes described as a Grade 1 reading level, or as suiting children ages 5-7, but every child is different. It’s best to read a couple of pages of the book in the Amazon preview to see if the level of this book is right for your child. If you end up sharing either of these books with your kids, or reading them out loud, email matthew @ prosetech.com to let me know what you think!